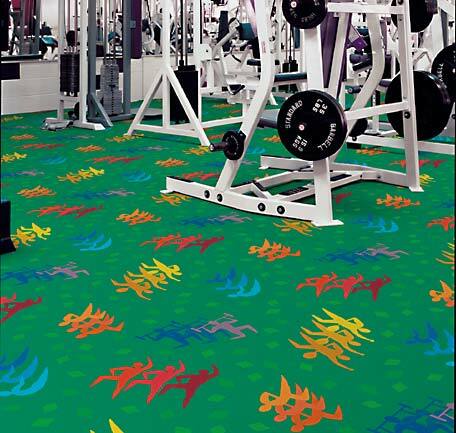 Carpet For Fitness Center, Health Club, Gym, Exercise theme etc. Get inspired to exercise with this active design. 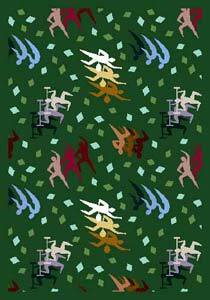 A variety of fitness regimens convey the feeling of movement using triple images in multiple shades of exciting colors. The perfect exercise theme for Home Gyms, Fitness Centers, Health Clubs, Gyms, or Sporting Goods stores. Broadloom (wall-to-wall carpet) - 13' 6" Width @ $3.25 per sq. ft.
* All broadloom orders must be phoned in. Thank you.